Today Trina Jackson of Take Me There Virtual Tours (www.takemethere360.com) rocked out a great Tour Track shoot! 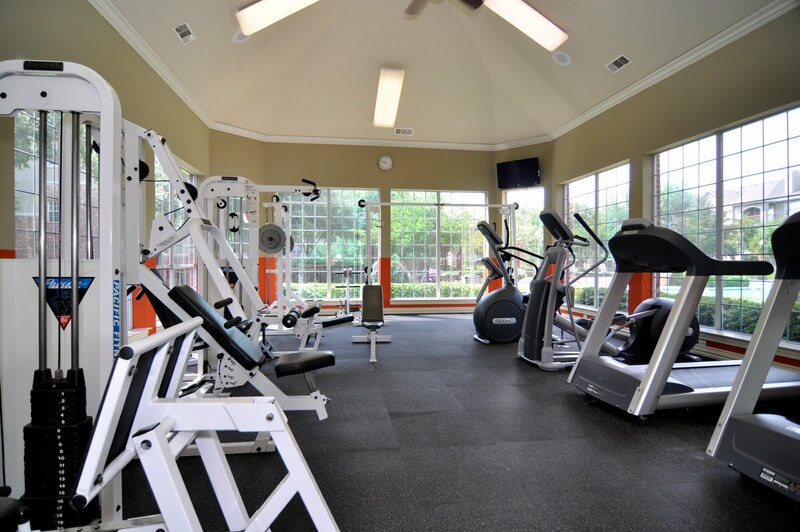 Her fitness center images, shown here, had the RTV gang ooooh-ing and ah-ing. These pictures are great examples of how windows should look. They are clear and bright, but not blown-out. The room itself does not look dark, despite the fact that there is so much outside light coming in. The equipment is crisp and clear. The angle is great and the picture is level. Level pictures make the Tour Track Fairies happy, I’ll tell you what. Nothing makes Melissa crankier than having to straighten 50 million pictures. How did Trina shoot these well lit clear crisp pictures? We’ll be passing along her tips in a future blog post so stay tuned! For two hours of photography tips each month please tune into The IMAGE! Everyone give a shout out to Trina and congratulate her on winning a shiny new tour credit! This is an amazing post of a analysis of Today’s Customer. This information was written by Jefferey Gitomer. He has authored books on sales, customer loyalty, and personal development. He also gives seminars as well. This is the best write up I have ever read describing the new age customer. “Where is the new customer? He’s in the new world… are you? The customer is making a comeback – slow though it may be. And when he (or she) returns, you’re going to notice a change. A big change. FAIR WARNING: How you prepare for the new customer will determine your long-term success. REALITY: While your customers were away, online has officially taken over. It’s the new showroom and comparison shopper. You can chat, or phone in a heartbeat. You can see every option and some you never knew existed. It’s fast, it’s accurate, and anyone can choose anything, any time of the day or night. Yes, the Internet has been there for a few years, but it has taken a firm hold as a trillion dollar option for consumers and customers every place in the world. Your world. It’s a different world now. We are not going to “recover,” per-se. We’re going to revive and revise. And you can be in it, or watch it pass you by. Here are some examples of “different” on the business side. Car providerships, stock brokerages, insurance companies, banks, homebuilders, commercial real estate agents, residential real estate agents, and mortgage lenders have all revised and restructured their business – and that’s the short list. * He’s going to decide somewhat slower. He’s been hesitating for more than a year. * He’s angry about the value of his home, and the value of his investments. * He will not be doing business the same way it’s been done before. * He’s online. Checking out your website – and your competitor’s website. * He’s socializing. Telling everyone what’s happening in his world and the world. * He’s Tweeting, Facebooking, and Linked-In-ing. Social media is still a firestorm. * He’s blogging about his experiences with you, for the world to read. * He’s YouTubing about his experiences with you for the world to watch – by the millions (any questions United Airlines?). * He’s Googling, not yellow-paging. * He’s texting. A lot. * He’s using his mobile device to do damn near everything. * He’s WiFi-ing in his hotel room, on the plane, in Starbucks, and at home. * IF he’s reading a paper, or getting the news, it’s online. * He’s as likely to watch The Daily Show, The Colbert Report, or listen to Howard Stern for news as he is to watch a network “news” person read a tele-prompter. * He’s purchasing after midnight. By the billions. * He’s looking for ease of doing business with you. * He’s looking for ideas and answers. * He knows MORE about your competitor’s product than you do. * If he needs a referral or recommendation, he’ll go to Craig’s list or Angie’s list or Google or his next door neighbor, or anyone else but you…UNLESS you have video testimonials online. As you’re thinking about (and making excuses about) these statements, you better be thinking about your answers and responses to them. And you better be making the strategic decisions and game plans to make them happen. So we all must ask ourselves that question. Will the new customer be buying from us. At 360 Image Media, we have answered YES. We continue to broaden our offerings, sharpen our skills and service. We must advance our expertise, to cater to this new customer. By preparing for the future we will continue to be the leader in Wisconsin Virtual Tours. 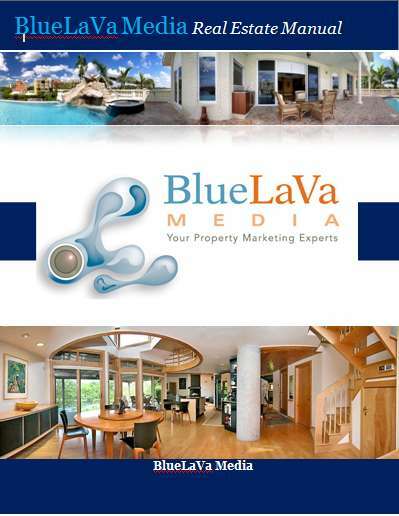 Our partners at RTV, also continue to keep our virtual tour software and solution the best in the industry. Fellow RTV providers out there read this post a few times and take the unbelievable information here, to take your virtual tour business to the next level. Here’s to an unbelievable Summer! Summer is officially here and with that the peak time for you to be connecting with past virtual tour clients and connecting with new ones. 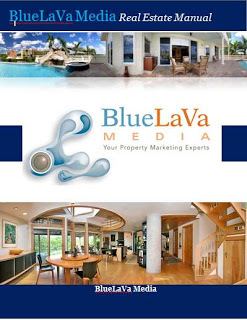 This month we have several new virtual tour marketing pieces to help you do just that. First off is a flyer directed towards real estate agents. This flyer delineates our amazing new agent site program. If you are not already sharing this technology with the realtors in your area, now is the time to start. 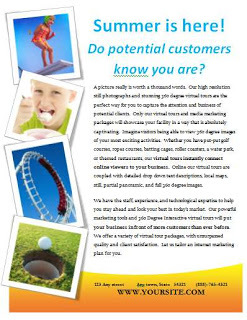 Remember, all of our marketing pieces are customizable within minutes using Microsoft Word. Simply insert your companies contact information, your logo and away you go! Who will sell the first RTV Agent Site? With the end of the school year comes summer fun. That means millions of people are venturing out to amusement parks, put-put golf courses, go-cart tracks, batting cages and similar property types. 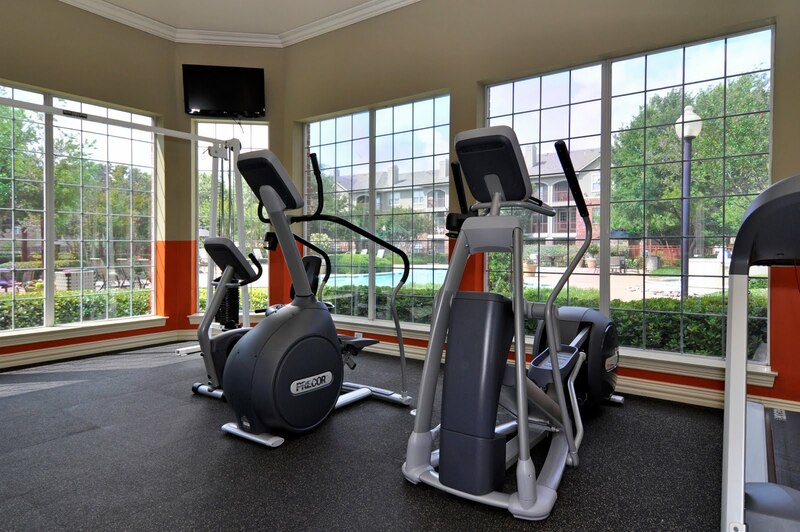 These businesses are perfect for a virtual tour. The images would be interesting and really provide a potential visitor a clear idea of the activities available. We created a traditional brochure and a 1 page, two sided flyer targeted at amusement centers both large and small. 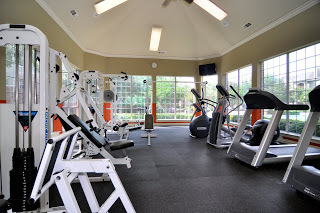 I am really amazed at the diverse business types that benefit from virtual tours. 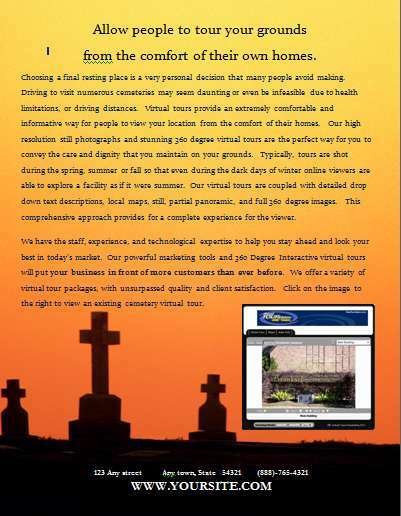 This two page flyer targets cemeteries. Realistically, many people are unable to visit several sites because of health, driving distances or other limitations. 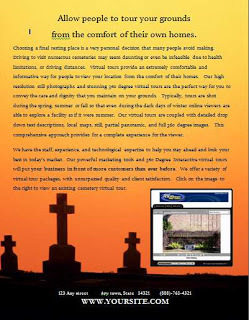 This flyer has a link to a wonderful example of an existing cemetery virtual tour. 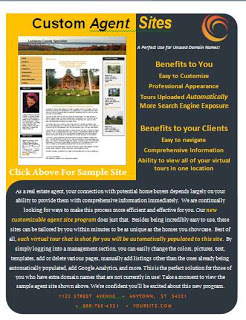 Last of all, it’s time that you all start using the new real estate information packet to pass out to your prospects. We’re still updating our manuals and are putting the finishing touches on things but it’s a great start. It is up to date and contains all of the amazing new programs and technologies that we offer and explains them in detail. Look for this last one to post soon. It’s your job to sell your products, market your products but to also teach your customers how to fully use your products. When your customers know how to use all of your features to the fullest they are more likely to be more successful and refer you. The new RTV Slide Show will be released on Wednesday, June 30th so get ready to upload your HD images in a “provider friendly” drag and drop format. The new slide show has some features we are planning to implement with the new tour building system. That’s right! We’re just around the corner from showing you a brand new Tour Builder AND end user experience unlike any before from RTV. Our new HD slide show will be a FREE ADD ON to any virtual tour that you create. You will be able upload 30 additional scenes to your slide show, and best of all, the slide show will play panos from your 360 virtual tour too! Please join me on Tuesday, July 6th at 7:00 Eastern for FORMULA 31 “Let it Slide”. We will be discussing how this new technology release will open up additional revenue streams for you and your virtual tour company. See you at the show! Sign up now in your TMS!